If you like tacos, I have a good feeling you’re going to like Nadia’s Tuna Taquitos. I’m a huge fan of tacos, especially crunchy shelled tacos. But most crunchy tacos are made with corn shells, which a lot of people don’t digest well. 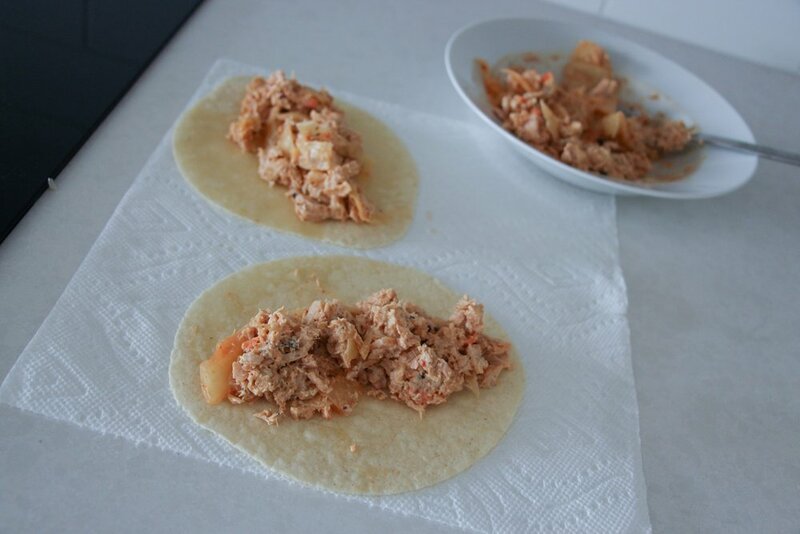 So when I saw Nadia’s Tuna Taquito recipe, I was hoping it would be amazing so I could share it with you. And guess what?! It was. And here it is. FLAVOR : The flavor of these taquitos is extremely unique due to the combination of the tuna, vegan cream cheese, kimchi and the kick from the jalapeño . I loved it. CONSISTENCY : Maybe I am biased… but you can’t go wrong with a crunchy Siete wrapped anything. 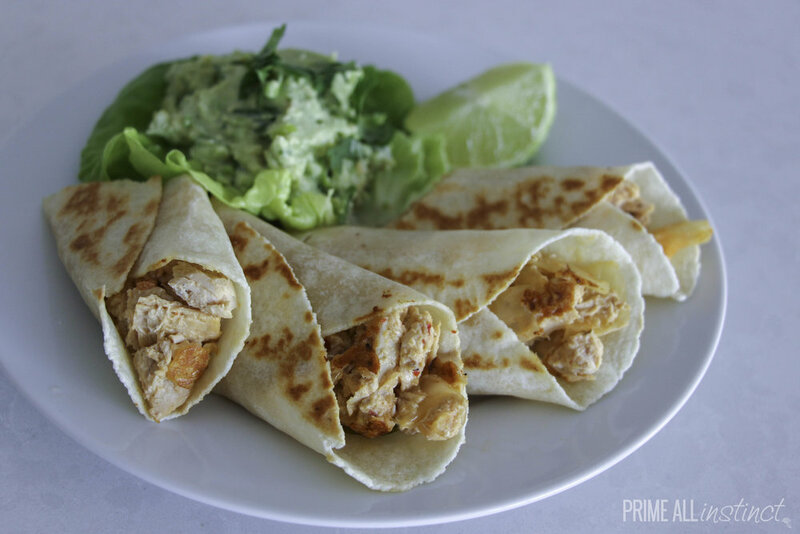 The slightly toasted Siete Wrap gives these the perfect crunch factor. EASY : These are really fast and easy to make which is a BIG PLUS. WORTH THE MACROS? YES! and not just on taco tuesday. Photos do not include every step, just thought it could be helpful to have some examples of what the process looks like. (Let me know if this is helpful to you). STEP 1 : Mash avocado and combine with almond yogurt, lime juice, scallions, cilantro salt and pepper. STEP 2 : In small bowl, combine tuna, jalapeño hot sauce and almond cream cheese. STEP 5 : Take off of pan when slightly warm and divide the tuna filling between the 2 tortillas and the lettuce wrap. STEP 6 : Roll the filled tortillas and place on pan until tortilla gets golden, then flip and repeat. STEP 7 : Serve and ENJOY!!!! 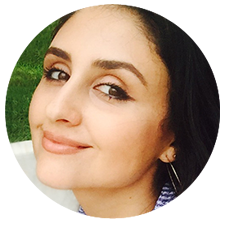 Make sure to check out Nadia’s blog, Food my Muse for more delicious recipes! Is there a recipe or product you want me to review? Do you want help modifying a recipe to meet your macros?